An August heatwave has struck the Isle of Berk, and some say it is a deadly omen of fire-terror and dread. Well, it’s the Old Wrinkly who says that, actually… but for once he’s right! The Fire Egg has been stolen by a cunning thief, and now the volcano on Volcano Island has awoken… hatching the hidden eggs of the terrible sabre-clawed Exterminator dragons. Terror and laughs are afoot! NC1070L Lexiles are the global standard in reading assessment. They are unique as they are able to measure a child and a book on the same scale – ensuring the right book gets to the right child at the right time. By the time Cressida was eight, the family had built a small stone house on the island, so they no longer had to camp out in tents, which made life much drier. Her father got a boat, so they could fish for enough food to feed the family for the whole summer. Every year, Cressida spent the long summer holiday, and some of the spring, on the island. The house was lit by candle-light, and there was no electricity, telephone or television, so Cressida and the family lived like people in the olden days. In the evening, Cressida’s father told the children old Scottish tales about the people who lived on the islands round about, who were always fighting and tricking each other, and about dragons living in caves in the cliffs. After leaving school Cressida studied English at university, and then got degrees in graphic design and illustration at art college. For her final project at art school she created a childrens’ book called Little Bo Peep’s Library Book and was lucky enough to have that book published in 1998. 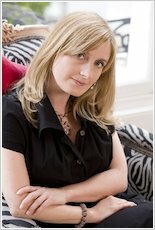 She has gone on to write ten more picture books, including the popular Emily Brown stories, which won the Nestle Childrens’ Book Prize in 2006. In 2002 she began to write a book for older children. 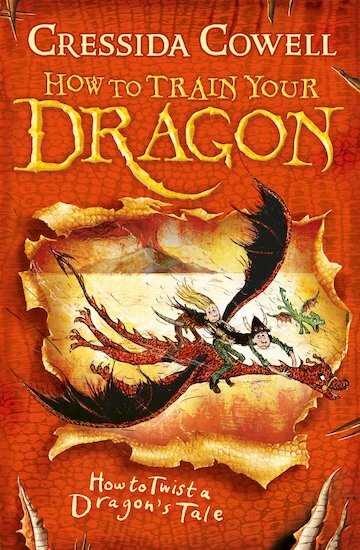 Remembering the stories she had written on the island as a child, these ideas became the book How to Train Your Dragon. There are now nine books in the Hiccup series, and a DreamWorks Animation film of How to Train Y0ur Dragon came out in 2010! Cressida lives in London with her husband, three children and a hamster. This is an amazing book and you should definitely read it!! It is extremely funny and exciting. I have read all of the How to train your Dragon books.